Creating Safe Schools for All Students draws on the latest research, law, and expert judgment to offer educators a comprehensive program for designing safe schools. This book provides a set of standards that educators can use to evaluate their schools and then develop practical and systematic plans for ensuring orderly and caring learning environments. 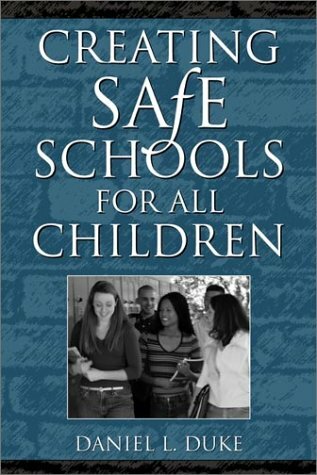 It also addresses several theoretical perspectives through which readers can come to understand school safety. Attention is given to the distinction between preventing violence and promoting safety. What Form Should Guidelines Take? What Are Characteristics of a Good Rule? Can a School Have Too Many Rules? What Behaviors Do Rules Need to Address? Which Rules Can Cause Confusion? How Should Rules Be Shared with Students? How Can Consequences Be Used Conscientiously and Effectively? What Is Known about School-Based Consequences? What Is a Caring School Community? What Are the Goals of a Comprehensive School Safety Plan?